Welcome to Leecorp Limited, the premier engineering and energy efficiency company in the Caribbean and Central American region. Leecorp partners with global companies to deliver high quality solutions in industry and we have forged strong alliances with such companies as Siemens a global leader in electrical power equipment production, Efacec of Portugal, the number one electrical power distribution company in that country and a global player, and Elspec, a global leader in power quality. We have worked as contractors and suppliers for Fortune 500 companies including Exon Mobil, Siemens and Alcan among others. Leecorp has delivered power distribution, generation and renewable projects in Jamaica and the Caribbean since 1990, on time and on budget. Our team comprises electrical engineers qualified in design and site works and logistics, as well as purchasing professionals. 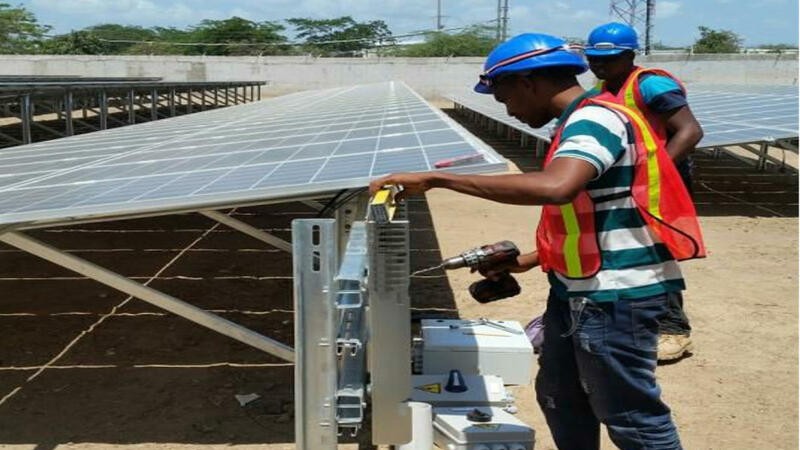 Leecorp Limited is the premier engineering and energy efficiency company in the Caribbean and Central American region , delivering the highest quality, on-time services, and innovative and technologically appropriate products at reasonable prices. The company was formed in 1989 with Francois Lee being its principal director and operating officer. Since its founding, Leecorp has been involved in major projects to provide quality power systems engineering and electrical design services in the private and public sectors in Jamaica and other Caribbean countries. Leecorp from its base in Kingston, Jamaica offers services in electrical engineering/contracting, manufacturing and process plant installation and the supply of products related to the delivery and control of electrical power to industry. In the area of electrical contracting and supplies, some of our more notable customers have been Wigton Windfarm, BMR Energy (windfarm), Content Solar, Alcan, Exxon Mobil, Nestle’, Siemens, Caribbean Cement Co, the Government of Jamaica, National Water Commission of Jamaica, Damus Caribbean (Trinidad), China National Export Import Plant, Grenada Electricity Services, Barbados Light & Power, Jamaica Public Service Co, Virgin Islands Water and Power Authority, Renewable Energy Systems (UK) and QVARX (Canada), among others.